Basement flooring is unique as we examine options inside the home. Not only does it have to be pleasing visually, it also has to be functional. Your basement is by definition underground, which means that there are many issues involved that are not encountered on the other floors inside your home. Your first decision is what you are going to use it for. The flooring required for a utility room is far different than what is necessary for a basement family room. To begin, you must make this first and fundamental choice as it will affect the flooring you can select. You have many possibilities though! These vary according to the amount of effort that you plan on putting into finishing your basement space. Generally you can group these options under the ones that do not need a subfloor and those that do. Your decision will be largely determined by this choice. Once you make this decision the main issue to take into account is moisture. Moisture will be a problem both from beneath the floor, and in the worst case from above if pipes leak. 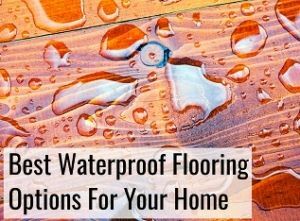 You’ll find some of the same moisture problems with bathroom flooring that you do in your basement and some of the same considerations will apply. There are a lot of technical reasons that concrete floors bring in moisture from below, that you likely don’t need to know right now. What you do need to know is that the concrete floor of your basement will wick moisture up through the concrete, causing untold issues if it is not managed correctly. The surprising fact that you don’t often here is that a large percentage of new homes will have a leak occur in the basement within about 12 years of being built. Older homes are no better as over half of them have an existing moisture problem that the home owners must deal with. Not surprised yet? Well consider this last statistic, around a third of all homes with moisture problems will develop some form of mold and fungus growth that can cost thousands of dollars to manage. To those who are not experts, the next consideration is whether you want, or need, a subfloor.It provides an additional level instead of your flooring being directly attached to concrete. There are some good and bad things that a subfloor will do for you as you make your decision. One of the good things it does for you is that it will level out your basement floor. It may be sloped for proper drainage. This is great for water leaks, but not so great for putting floors down. It might not be obvious, but close inspection will reveal if your floor is sloped for better drainage. If you aren’t sure use a marble, simply set it down about halfway between the wall and the center of your floor. If it rolls you have a drainage slope built into your concrete. A subfloor also provides space for radiant heating or insulation, giving your basement a much warmer feel. The bad is that most basements have a lower ceiling than a standard floor. Even adding 3-4 inches for a subfloor can make a basement that used to seem normal take on the feel of a cramped cave. Additionally the moisture concern can limit the options. 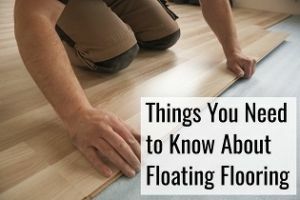 The subfloor you choose must take into account the possibility of water damage. Using a standard 2×4 subfloor can lead to troubles even with the normal moisture a basement has, let alone trying to dry it out in case of a leak. Specialty subflooring can be found that is modular and able to be installed quickly. The most common are ThermalDry, Barricade, and DRICore. Keep in mind that some of these systems are not for the DIY crowd and must be installed by a certified technician. If your basement is going to be used as storage and utility area then the best and cheapest material is a concrete sealant. Concrete sealants keep moisture out but offers very little in the way of looks. Sealants will also do almost nothing to insulate the space, making it less than useful for family time. A basement that may be occasionally used for other purposes, but not fully dedicated to family time can often be dealt with by using an epoxy paint. Epoxy paints offer the same sealing properties as a basic sealant, but provide some aesthetics that give the space a more finished look. Epoxy paints will still not give any insulating properties to make the space more livable, and your feet will still be cold. Tile floors are easy, and clean up quickly in the event of some sort of water leak they are also resistant to damage. Ceramic tiles can be found that mimic the natural look of wood or stone. Radiant heating is often needed for this. Tile can be layed down with radiant heating underneath but you are going to still have cold feet most the time. Cork is an eco-friendly option that does give some cushioning and provides some insulation. The problem of water damage is very real though, and the cork would need to be sealed to prevent that damage. While organic cork doesn’t decay like most other natural substances, and if water leakage does occur it can often just be mopped up. Laminate is the best material for your basement as it is easily cleaned in the event water leakage occurs. Remember that the floor must be sealed before installation to prevent damage. One of the downsides is that this is often seen as ”cheap”. Slightly insulating. With sheet laminate there is perfect barrier. There is a type of luxury vinyl tile that looks like stone or wood, it is generally more insulating and looks more realistic. It is more expensive for the same vinyl and may not raise resale values. 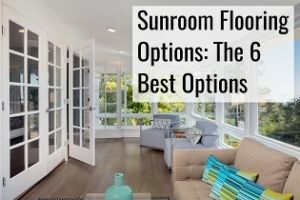 If you have made the decision that you have enough clearance, and that the added complication of a subfloor is worth it you have more traditional options. 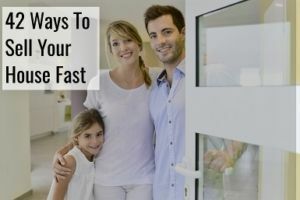 Even with these possibilities now open to you, there are unique reasons to take a closer look at how to proceed with finding flooring for your basement. Carpeting can be an option. This needs to be considered carefully due to the leakage and moisture issues. Choose carpeting that has a low pile, is easily dried, and resistant to mold and mildew. Carpet squares, often seen as a cheap alternative, are sometimes useful as it provides the ability to replace areas that are damaged rather than require the entire flooring to be replaced. Carpeting can be dried, often requiring the use of industrial drying machines. Wood, while great in most areas of the house, is not usually recommended for basements. Regular wood does not stand up well to moisture and is not the best choice. There are engineered wood flooring types that can stand up somewhat better. Engineered hardwood is a system of advanced plywood style boards that are often quite useful. 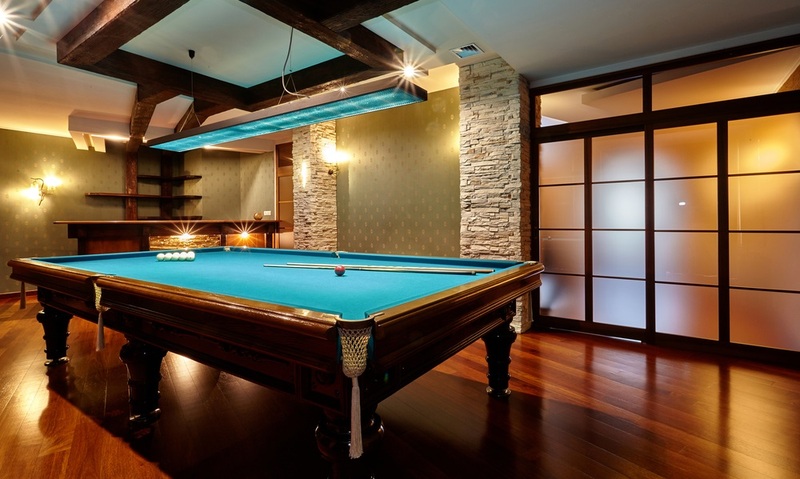 Your basement can serve many purposes, more than almost any other space in your house. 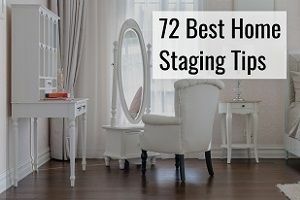 Most basements have a combination of utilitarian spaces where water heaters, HVAC components, and plumbing reside, and some free space that many home owners want to use for additional family space. Your best flooring options are going to be guided mainly by your intentions. Choose the flooring that supports that choice without bringing more of a headache down the road. Examine the possibilities for the worst case scenario occurring and prepare for it by selecting the material that will withstand it best. You’ve decided it’s time to replace your bathroom floor. Or that house you just found is perfect except for the floor that was put in when your grandparents walked up hill both ways to school. Your bathroom can be one of the smallest areas to put new flooring down. It can also be more expensive than you think. Your options for bathroom flooring, like your basement, have to take into account the moisture issues. More than any other consideration the problem of moisture will determine the material that you choose. The moisture problem is obvious, the shower increases the humidity. Both the bath and the shower will leak causing direct problems with your choice of flooring. Whatever flooring you choose must be able to both withstand this repeated soaking, and be able to be dried when it does occur. The other things you have to think about when making your selection are durability, safety, and practicality. Your bathroom flooring must be durable enough to stand the test of time with high traffic. It must be practical for your bathroom setup. Lastly, it must be aesthetically pleasing and suit your style and fit in with the rest of your home. At around 4 to 5 dollars per foot carpet can seem an attractive choice . While carpet may be fine in most areas of your home, in your bathroom it is one of the worst options that you can choose. Due to the water issue carpet is a poor choice. It is extremely difficult to dry when water is tracked out of the bathtub or shower. Rarely will the padding and subflooring completely dry even when the carpet piling feels dry. This remaining moisture will eventually cause wood rot, mold issues and your floor to warp and degrade. If you are dead set on choosing carpeting, use one with the lowest piling, a mold resistant padding, and seal the subfloor from moisture with a vapor barrier. Solid hardwood is only a slightly better choice than carpeting. Hardwood can be very difficult to seal properly. Due to this water intrusion almost always occurs over time. With this choice you must be very sure every gap is sealed and there is no way for water to get beneath the hardwood into the subflooring. Should water intrusion occur there is no way to dry it, and the typical problems will occur. However, Solid hardwood looks good and with the right preparation it can work. Hardwood averages between 8 and 11 dollars per foot. Similar to your choice of basement flooring, concrete can be used in your bathroom, but must be sealed to ensure water doesn’t seep through it to the flooring below. When properly sealed, painted or etched concrete can be attractive. Combining affordability with durability concrete can work in your bathroom but is not commonly found in most homes. Concrete will cost between 16 and 20 dollars per foot depending on labor costs. However there is the issue of safety to consider, although this can be handled with throw rugs of some sort. This type can work well in the bathroom. However it must also be sealed properly. This can often be one of the more difficult aspects of working with laminate. Laminate comes in many different styles and can be often be found that mimic other natural substances. Laminate works well but must be installed so no water can get to the wood beneath A fairly inexpensive option at around 6 to 8 dollars per foot linoleum has a bad reputation as one of the “cheap” flooring options similar to vinyl. Not just for kitchen floors anymore, linoleum is a viable choice for your bathroom too. One of the more eco-friendly options linoleum is biodegradable which can be a selling point to future buyers. Linoleum can be found in many different styles and patterns. However there are some downsides. Linoleum is susceptible staining, which is a problem in a place where things are spilled often. Also linoleum must be polished every few years to ensure that it stays waterproof. You can expect to pay 7 to 11 dollars per foot. If you aren’t often in the market for flooring this not a common term and you may have never run across it. Engineered hardwood is, in common terms, really high quality plywood. Engineered hardwood is composed of layers of softwoods made glued together with a final layer of hardwood as a veneer. This combines the look of hardwood while being much more resistance to water damage, and is relatively inexpensive at around 5 to 7 dollars per foot. Stone tile ranges from quarry stone to marble. Stone tile can be a great choice for your bathroom. The stone itself will not degrade, is completely waterproof, and stands up to the wear and tear of traffic. While a good choice there are still some considerations, stone is slippery when it gets wet so safety can be an issue. Although cheaper than luxury type floors the cost is often prohibitive. The stone must be treated every few years to keep its finish, and particular care must be taken to ensure the joints between stone tiles are waterproof. This can cost anywhere from 7 to 110 dollars per foot. Vinyl is one of the most popular choices. An inexpensive option, vinyl can often be installed for as little as 2 to 7 dollars per foot. Vinyl comes in either tiles, or sheets. Vinyl sheets are the most waterproof option, and can be found in styles that mimic other types. Tiles are inexpensive, but care must be taken to ensure the joints where they meet are waterproof. Vinyl tiles also tend to come loose over time and may need to be replaced. The downside to being inexpensive is that it is often considered cheap and may not improve your resale value much. Ceramic tile is a good balance of all considerations and should be at the top of your list. Ceramic tile is waterproof, fairly inexpensive, and can be found in a wide array of styles that can mimic the look of other options. The joints between the tiles must be made waterproof to keep moisture from the subfloor though. Like stone, ceramic tile can be slippery once it is wet. According to the national kitchen and bath association 83% use it. You will find that the cost for ceramic tile is in the middle of your options at around between 6 and 30 dollars per foot. 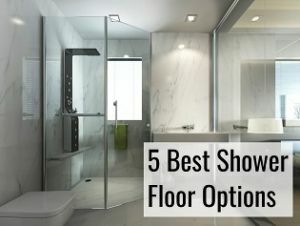 Your bathroom floor can be a great selling point and a good return on invested money. Taking the time to make the right choice will ensure that your bathroom is up to date and ready for the years to come. Your bathroom has the special problem of constant moisture, and water spills to consider, this above all other things must guide your choices. Your bedroom floor is one of the most personal spaces that you will select flooring for. This will be the one you first place your feet on when you wake up, and the last your feet will touch before bed. Before almost any other room in your home the main consideration you must take into account is the comfort it will provide. This is comfort both in the tactile sense on how it feels, and the psychological comfort of being pleasing to look at. As you make the decision, make sure to balance this consideration of comfort against the normal and practical aspects of your choice. As with all of your choices, you have to balance the considerations of cost, durability, and appropriateness. Carpet ($3-$5) Arguably your best choice for comfort is carpet. Carpet provides a bedroom with some thermal insulation and a visual warmth that is unmatched by other choices. A carpeted floor can make a bedroom feel intimate and cozy, which is important overall. This can, however, be difficult to maintain as carpet stains easily and is not hypoallergenic. Household dust, and other particulates will be trapped by the carpeting and accrue over time. The other drawback to carpet is that trends do change over time, and carpet that is trendy now, is going to make your room feel dated in a few years. You can expect to pay between $3 and $5 a square foot for carpet. This may negate any savings a carpet gives you once you factor in maintenance and the cost of replacement. Hardwood ($9-$12) Hardwood is the current trend in housing. It is also the best to keep or increase your resale value. The National Association of REALTORS® states that over half of all home buyers are willing to pay more for hardwood in a home they are looking to purchase. There are a multitude of different styles when it comes to hardwood. This allows you to tailor it to fit your individual style. Expect to pay between $9 to $12 per square foot for hardwood flooring putting it in the middle range of the available choices. The downside to hardwood flooring is that it can be cold underfoot since hardwood only provides a little thermal insulation. Cork ($8-$12) An unconventional choice, cork is growing in popularity in many different areas of the house. Seen as an eco-friendly option, cork also provides fairly good insulation for both sound and heat. There are different grades of At a cost of $8 to $12 a foot cork is around the same cost as hardwood with more insulating qualities. Cork has the ability to be stained to suit your style, and gives more cushioning than traditional hardwood. It does have to be resealed every few years, and can be damaged easier than hardwood. Vinyl ($2-$5) While often found in kitchens, vinyl is an uncommon choice for your bedroom, you will find few bedrooms where vinyl is used. There is really no true reason for this, as vinyl comes in a wide variety of styles and colors that can compliment your décor nicely. Vinyl is slightly softer and warmer than hardwood, which can be increased with padding added beneath the vinyl surface. At around $2 to $5 dollars per square foot vinyl flooring can be considered as economical as carpet. As an unconventional choice vinyl can hurt the resale value of your home as it is seen as cheaper. Laminate ($6-$8) If you like hardwood in your bedroom, be sure to look into laminate too. It has less maintenance and a longer lifespan for less cost. Laminate can be found that mimics many other styles and you are sure to find something that suits your tastes. 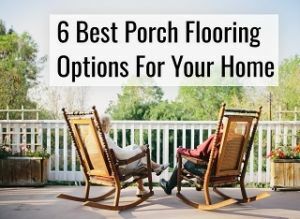 Laminate is usually attached directly to the subfloor so you will find the same lack of insulation and cushioning that you would with hardwood. One of the major drawbacks to using laminate is that it is vulnerable to fading in direct sunlight. If you do have a lot of natural light in your bedroom, and don’t move furniture often laminate will fade unevenly, which will require complete replacement. Tile ($2-$20) Ceramic tile is an option for the bedroom, however this is better for the higher traffic rooms of your home or rooms like your bathroom. While it may work, it will feel cold under your feet in the morning. Of all the tile, either ceramic or stone, has the coldest feel underfoot. Polished tile is also somewhat of a safety concern as it is the most slippery. Remember, this will be an area where you walk around in socks. Considering these issues, unless you have a deep love of tile it may not be the greatest choice for the bedroom. As with most things the best choice is the one that supports your lifestyle. From a pure comfort perspective carpet is the obvious choice. Carpet can be both visually pleasing, feel nice underfoot, and give your room both the sound and thermal insulation that you may need. In the end though, hardwood wins out as your best choice. The combination of some insulation, and the desirability in resale is hard to beat. The issue of warmth and sound insulation can be managed with an area rug, letting you change the look and style as trends change. At times, cost becomes the most important consideration when looking for a new floor. Cheap options exist for all areas of your house. The goal is to balance this need for economy with the normal requirements for all flooring in your home. By making the best choice, you can put a new floor down without breaking the bank. There is always the possibility of finding the best deal available to make expensive flooring cheaper. A little bit of research is going to possibly pay off with big rewards. There are always sales somewhere, think beyond locally. In the age of the internet deals can often be found that include free shipping. Many materials can be found that mimic others that are higher priced. 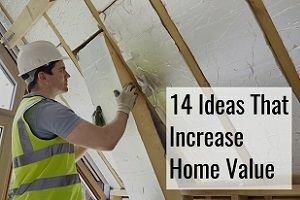 All of these can be good for those on a tight budget. They are something the cost conscious must look into and balance against aesthetics and suitability for the room you are looking for. Keep in mind that all of these options do not take in to account resale value, and most will not improve the resale value of your home. Vinyl: Vinyl flooring is an excellent choice. The cost can be further reduced by installing this on your own, which is something a fairly competent homeowner can do on their own. Solid color vinyl tiles are the cheapest type of vinyl available and should definitely be a consideration if it is possible. Remember that vinyl isn’t just available in solid colors anymore though. You can find vinyl tile that not only gives the appearance of stone or wood, but vinyl is often thick enough to be embossed and gives the feel of the material it is made to look like. Linoleum: A low cost and green alternative linoleum is an all-natural product. Linoleum was much more popular in the 1960’s until vinyl came on the scene and was a lower cost alternative. Linoleum has some advantages over vinyl. Linoleum is a hardier material as it will not melt, and if scratched it holds up better since the colors go all the way through the linoleum. You can find linoleum in both tiles and sheets, for the lowest cost tiles are the best choice. Sheet linoleum is best installed by a professional, tiles can often be installed by the home owner. Carpet Squares: This is one of the low cost alternatives that a home owner can install on their own. By doing your own installation you escape the installation fees that rolled carpet comes with. There are few pieces of equipment that are needed when installing carpet squares, further reducing the costs involved. There are even peel and stick carpet tiles of varying quality that are simple to put down. They may lack some visual appeal but in the end you are trying to find the right balance between cost and function. Utility Grade Hardwood: A lesser known cousin of true hardwood flooring this is a cheaper version. Utility grade hardwood is made up of cheaper wood, and can be a viable alternative to the cost conscious. Utility grade hardwood is often rough and splintered with bad individual boards. There will be a portion of the hardwood that is not going to be useable do to warping and other flaws. Ceramic Tiles: There are a wide variety of ceramic tiles on the market. These range from cheap and cost effective to expensive and rare. When choosing ceramic tile, for those who are not picky there can be the option of remnants. Often builders will sell the remaining tiles of a job, the unused portion, back to supply warehouses. These can sometimes be purchased, and for the creative combined into something unique as well as inexpensive. Porcelain Tiles: Similar in both cost and design considerations, porcelain tiles are often found in kitchens and bathrooms. These tiles come in a wide array of colors and designs, often mimicking much more expensive materials. Where cost considerations are important this can give you the look of a more expensive material while keeping the costs low overall. Concrete Flooring: This may seem better suited to your garage or basement, however there are many different applications for concrete that you may not have thought of. Concrete floors can be painted, or stained to match the décor of the room it is put down in. The concrete must of course be sealed and kept sealed to ensure no moisture gets into the concrete. Let’s face it, wood flooring is expensive. Sure, everyone is looking to have the perfect hardwood, but not everyone has the bank account to support that desire. While that expensive hardwood may be out of your reach, there are cheap wood options that are just ready for you to grab and make work. These ideas may require a bit more creativity and elbow grease than a factory direct wood floor. If you have that creativity and desire to put the time and effort in, a unique, and affordable wood floor is something that you can find, even in today’s market. Pallets: For those who are looking for cheap options, pallets are about as cheap as you can get. 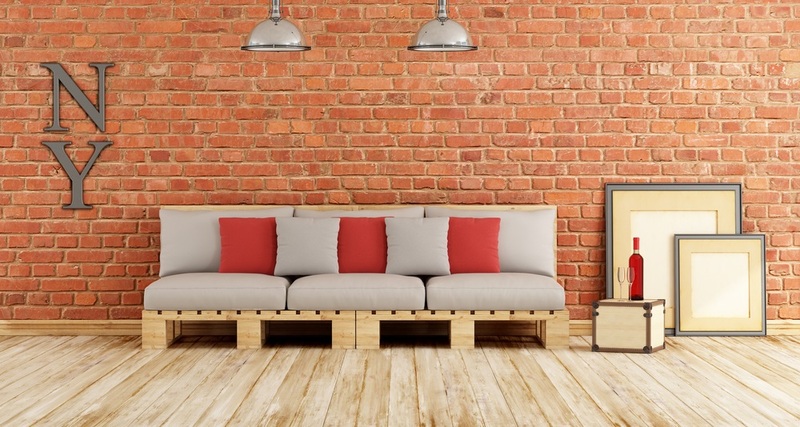 While it might come as a surprise that pallets can be used for flooring, when it comes down to basics a pallet is nothing but planks of relatively thick wood. Caution must be used when using pallet planks, as they may be treated with hazardous chemicals. Pallets marked with an “HT” have been heat treated and should be safe for use. Reclaimed Lumber: This is a general heading for any sort of wood that is taken from any other building or area. Barns, old fences, and older homes are often a great source for materials. Often reclaimed lumber can be found at a much lower cost than could be found for purchasing new materials from traditional venues. Reclaimed wood is also very eco-friendly and gives a more used look to a brand new floor. Rough-Hewn: Rough-hewn lumber is wood that has received only minimal processing. It has not been sanded, nor has it been graded or ensured to be free of debris. The boards have random thicknesses and widths, and it can contain debris that is detrimental to your equipment. Great care must be taken, but if that care is taken it is a viable option. You will have to pick and choose different boards carefully to find enough to put an entire floor in place. Plywood: Plywood is not often seen as a great option. As a cheap possibility, plywood can offer economy, and with the right treatment some sense of style. While sheet plywood can lack a certain sense of style, when it is cut into planks similar to hard wood, and stained it can give the appearance of a traditional wood floor without the price. Particleboard: One of the cheapest options is particleboard. As one of the cheapest it is also one of the least visually appealing ones. This can be offset somewhat by staining or painting the particleboard to fit the room that you are placing it in. Normally covered in a thin veneer particle board is often what you find in discount furniture. The downside to this option is that it great care must be taken to ensure that it is sealed from moisture. Particleboard will swell, warp and become disfigured if moisture is allowed to penetrate the material. Oriented Strandboard: Another of the most affordable options oriented strandboard is often used in construction. This is the least attractive possibility and can almost never be used as is. However, if painted it can occasionally be used for extremely cheap flooring. You won’t win any sorts of prizes for décor or show up in any magazines, but you will at least have some sort of flooring. Be sure to seal the wood against moisture, as it can swell if penetrated by moisture. Cabin Grade: Cabin grade hardwood are the rejected pieces that don’t pass the usual quality assurance processes. They are often available at a highly discounted price because they are flawed in some way. These could be inconsistencies in color, or markings that don’t match. Expect to have to be creative to make this look good, mixing and matching areas and hiding the worst parts under furniture. End-Grain Tiles: A thrifty home owner can often find end grain tiles to use. These can be used in a similar manner to porcelain or ceramic tiles. Once cut and put in place, it can make a cheap, and unique floor that can be an eye catching solution. Installation can often be done by the homeowner and this will further reduce the overall cost. End grain tile is something not often found in flooring and will be something that if done correctly can give a different style to a home. Commercial flooring options are available for most industries. You will see that some of these are similar to the materials for a home. The difference is mostly in the size and durability of the materials used. While there are a few industry specific types, mainly pharmaceutical and electro-dissipative, on the whole the same considerations that go into a normal home go into commercial flooring. However, where most households only needs to cover a limited area, commercial flooring often covers wide areas without being broken up into different rooms. This means most large scale commercial flooring choices are often made not for aesthetics but for longevity and durability. 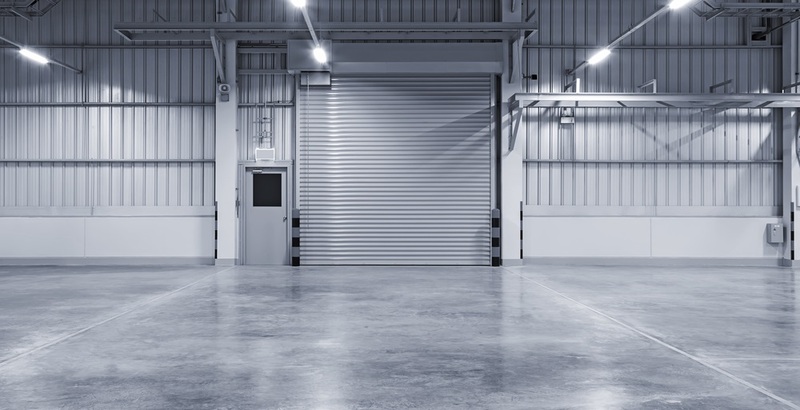 In the largest industrial settings you will often find concrete that has been sealed or given an epoxy coating as this is easily the cheapest option. 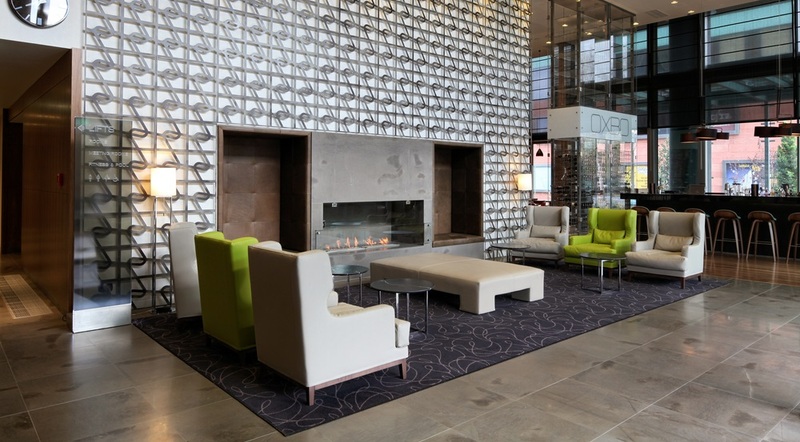 For smaller areas such as lobbies and work areas, tile are more prevalent. Vinyl Composite Tile ( $.82/tile): Vinyl tile is not just for your kitchen or basement anymore! Vinyl composition tile is similar in many respects to standard vinyl tile. They are both composed mainly of polyvinyl chloride (PVC) a type of plastic. The main difference in vinyl composite tile is that composite tile is made with the addition of inorganic fillers that increases the hardness and durability of the product. These additions also make the tile much more rigid, so it must be extremely level. Commercial Luxury Vinyl Tile ($3.50/tile): Commercial Luxury Vinyl Tile (LVT) is similar in many respects to vinyl composite tile. These tiles are still made of polyvinyl chloride but like Vinyl Composite Tile they are also more durable and stronger than the vinyl tiles used in most houses. The difference between this and standard vinyl composite tile is in the price. The greater expense of luxury vinyl tile is because often it is made to look like more expensive materials, giving the look of stone or wood without the actual materials. Vinyl Sheet Flooring ($2.84/sq foot): Commercial grade vinyl flooring is made of thicker vinyl than the vinyl used in houses. This extra thickness gives it much more durability than standard vinyl sheet. It has the same ability as other vinyl and is available in many different colors and patterns. Vinyl sheet flooring comes in 6 foot to 12 foot lengths that are approximately 6 feet wide. This makes it a great choice for large areas that need few seams and joints. Commercial Laminate($2.74-$3.74/sq foot): Laminate flooring for commercial uses comes in various grades. Laminate are given ratings are AC-1 through AC-5, which are determined by the durability. Commercial applications use ratings of AC-4 and AC-5, which give outstanding durability and wear resistance. Laminate can be printed with many different designs and patterns. Due to fading concerns, laminate may need UV coating if exposed to direct sunlight. Concrete ($3-$15/sq foot): Concrete is one of the most common options for large commercial applications. These large expanses can be put down relatively quickly and easily, and do not require the subfloor to be level. To give a better visual appearance concrete can be stained or painted. Most concrete requires a thick seal to prevent wear. These epoxy overlays which make them much better suited to commercial applications. Epoxy overlays can be composed of different chemical blends and offer slip resistance and flame retardant properties. Linoleum ($3.50/sq foot): Another material that is widely used in commercial settings, linoleum is a greener option than many of the other choices. This eco-friendliness comes from the fact that linoleum is often made of recycled materials. There are a few differences from household grade linoleum, commercial grade linoleum is thicker, more durable, and comes in wider in order to cover larger areas. Commercial Hardwood (Varies by type of wood): One of the most expensive options for commercial use, hardwood is best suited to smaller areas such as reception rooms or offices. Commercial hardwood is thicker and made to be more durable for the higher traffic encountered in commercial applications. Hardwood comes in a few different types. Commercial hardwood can be found in solid, engineered, or even acrylic impregnated varieties. Bio-Flooring (Varies by application): In certain settings, a floor must be completely sealed and unable to harbor germs or other pathogens. These types are referred to as Bio-flooring and are your solution in this situation. These types are normally needed in medical and pharmaceutical application. This type of flooring is nonporous, sealed, and able to withstand the harsh chemicals needed to disinfect the surface. This type of flooring can be custom made, or be composed of one of the other substances with an epoxy coating. Electrostatic Dissipative: In certain settings there is a necessity for floors that comply with standards. The Electrostatic Discharge Association sets the standards for electrostatic discharge tile for industry uses. There are different ”types” that are grouped on the individual resistances provided by the surfaces involved. Coatings/Slip Retardants: Safety is an important concern in the workplace. 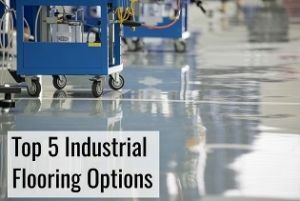 Slip retardant coatings for industrial use can be applied to most materials listed above in order to make them less likely to calls falls when they are wet, or in general. A thick epoxy coating is often used to give wear resistance and durable shine. These can be had for many different settings and are exceptionally useful. These types of coatings can be applied to any of the types above. Concrete flooring options are not as limited as the uninitiated might think. There are an array of varieties that you can choose from in order to take something that seems simple and make it delightfully complicated. While concrete used to just be something used in garages and basements, this option is making its way to the rest of the house. Concrete is so useful because it is one of the few formable building components. Concrete is an composite of different substances that are bonded with a liquid which hardens over time. This allows concrete to be poured into forms, or into tricky areas that other flooring would be difficult to put into. Concrete has the ability to provide a consistent surface no matter the twists and turns of the space. Giving a sense of uniformity without a lot of difficulty. While thought of as a modern building component concrete has been in use since ancient Rome. The fluid property of concrete is what allows it to be altered to take on unique properties. Structural additions (Varies by substance): Concrete can be found that include adding pigments and hardeners while it is being mixed. Substances such as potassium silicate, lithium silicate, various other solutions or metallic fluorosilicates can be added to change the physical properties of the concrete. The addition of chemical hardeners at the time of mixing make the concrete more durable and longer lasting. Remember that any addition also increases the price of the concrete however and need versus cost becomes an issue to consider. Acid Stain ($3-7/sq foot): For a unique look hydrochloric acid can be poured on the concrete, this etches the surface of the concrete. As concrete is a composite material, and the acid will etch places differently, this gives each floor gets its own unique look. This is something to be done carefully, and best done professionally. Working with hydrochloric acid is dangerous, and costly if the acid is allowed to come into contact with other surfaces. When done properly, it can completely change the look into something unique and interesting. Stained Concrete ($2-$15/sq foot): For those who wish a consistent coloring, stains can be applied to the concrete. The stain penetrates the surface of the concrete and causes a chemical reaction. This give the surface of the concrete a coloring that is less bold than paint. Stain can also be added at the mixing point, when this is done the color goes all through the concrete. This has the benefit that in the event of a chip or scratch you are not left with a different colored area. An additional benefit to stains is that the concrete won’t chip if moisture makes it down into the concrete, which is possible for painted concrete. Painted Concrete ($3-$5/sq foot): Concrete gives a level surface that can be easily painted. This gives you the option of creating the look of any paint application or custom design that you can come up with. Ensure that if you pick this that you use floor grade paint, regular wall paint is not useful for this kind of concrete. Use care to ensure that the paint seals the concrete and no spots are missed, or that you cover your paint with a good sealant as it can chip and flake if moisture penetrates into the concrete below . Epoxy Coated Concrete ($3-$15/sq foot): For a high sheen you can use an epoxy coating that can be applied over the basic concrete substrate. There are various types of epoxy that are available for different applications. Most homeowners will use a water based epoxy due to the ease of installation. There are other types of epoxy coating that require more expertise and specialized equipment. Epoxy coating reduces seams leaving the floor with a surface that is easier to maintain. An epoxy coating creates a moisture proof barrier that prolongs the life of the concrete and reduces cracking and chipping. This coating also increases durability and comes in various levels of shine. Epoxy coatings can also be applied that are slip resistant for greater safety. As you pick more specialized epoxy coatings the cost increases as well. Self Leveling Concrete ($5/sq foot at 1/4″ depth): For use in homes where leveling the floors would incur a large cost, Self Leveling Concrete is a much more liquid form of concrete that levels out uneven surfaces. This much more liquid form of concrete allows it to level out much like if you poured water over rocks, it forms a level surface over any uneven places hidden below the surface. This makes it ideal for situations where you want to pour a new floor over an existing one. This form of concrete can be poured over a floor without the need for a level or prepared base. The amount you need can be deceptive, be prepared to purchase more than you need as the substance is being poured over an uneven surface. You have many different possibilities to choose from. Concrete is versatile and cost effective for many rooms of your house and is not just for the basement or garage any more. With unique styles and different applications, concrete can be beautiful and durable for both new homes and a home that needs a little pick me up and updated style. 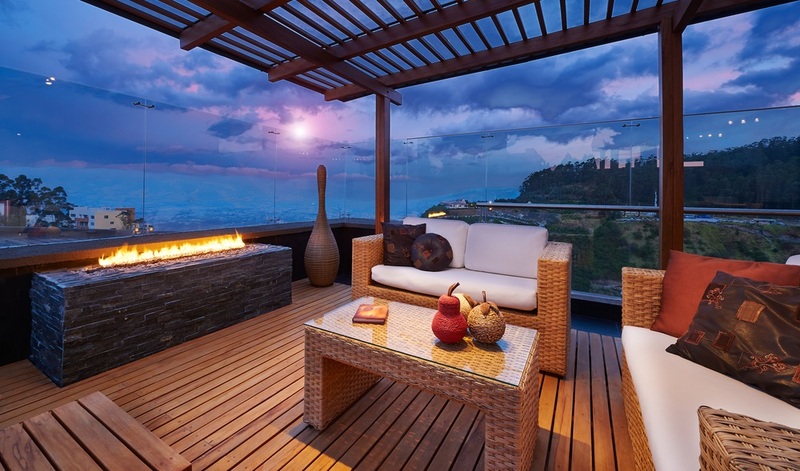 Your deck is often an outdoor oasis for your family. When done right your deck can add visual appeal and value to your home. As an outdoor area one of the main concerns will be weathering, longevity, and maintenance. Luckily decks have been around for a long time and over the years the options have improved. The building systems that are available have improved as well. From the simple plank construction to more advanced choices, how you build your deck has many different options. There are different types of boards that allow you to make your deck exactly how you like. The materials are as simple as wooden planks, or other materials that can be made with channels, tongue and groove design, snap together systems and others. All of these allow decks that are specific to the needs of each home owner. To help you make the best choice, we humbly provide the following information. Wood ($1.50-$3/linear foot): Wood is the granddaddy of all building materials, around since the beginning of time wood has been the tried and true material to build houses and decks. Wood is still, by far, the most common material used to build decks. These days the wood used is normally outdoor grade, treated pine. This treating is to prevent rot and decay. There are other available wood options such as cedar, and specialty hardwoods. Wood has a Low initial cost but requires periodic restaining/painting. Composite Materials ($3/linear foot): Where wood is simple and cheap, it also rots and requires a lot of upkeep over the lifetime of your deck. Composite materials try to be almost, but not quite, wood. By mixing wood dust and plastic a material is created that has a longer lifespan, and is more durable. The composite material is extruded into planks. These planks can be imprinted with wood grain or they can be left smooth. Composite material isn’t perfect though it can grow mold, and stain due to the wood component. The largest down side is that it is less visually appealing and has a fake look. Plastic ($9/linear foot): For those looking for the lowest maintenance choices, there is plastic beams and structures. The good news about choosing plastic as for your deck is that plastic does not rot, or warp and has impressive durability and ability to span distances. This is much more expensive and is fairly rare. The major drawbacks are the expense involved with plastic, the complexity of construction, and the visual look of plastic. Very few home owners like the look of plastic, finding it lacking in warmth and appeal. While some home owners prefer the regular look of stained wood or uncovered planks, others prefer a more finished look. While there are many different options, some are not suitable for the exposure to the elements that come with a deck. Vinyl Flooring ($7-$12/sq foot): Vinyl works well on exterior areas. Due to it being composed basically of plastic it has very low maintenance. It stands up to the weather and sunlight without need of being sealed periodically. It also requires no finishes or coverings to hold up well. As a constructed product it won’t splinter and won’t warp. As with everything else it does have negatives, over time the vinyl can get brittle. Also, one of the negatives to vinyl is that as it is worn it will lose its glossy finish and become more matte like in appearance. Ceramic wood finish tile flooring ($2/sq foot): Ceramic tile can be put down over a properly constructed deck. This requires that the deck has a level surface to place the tile on. Tile has much lower maintenance than wood when exposed to the elements. For those who wish a more traditional look, ceramic tile that can mimic wood is readily available. Laminated Membrane Flooring ($1.50/sq foot): three-ply laminated membrane flooring is another good choice for exterior use. Laid over the existing decking laminated membrane can give a relatively maintenance free surface. It offers slip resistance, mold and mildew resistance, and both durability and longevity. The downside to this type is that it can make your deck look more like an outside room. Metal deck flooring ($10/sq foot): Metal is one of the more rare choices. Normally aluminum is used for deck flooring as it will not rust, and has a long life to it. While this may seem good for most decks the cost is extremely prohibitive. Aluminum also gives a deck an industrial look that most home owners do not prefer. There are a lot of options out there. This list can’t give you the exact one that is right for you. Take the time and find out what will fit your budget, and your aesthetic desires. Most of the time the decision will come down to what type of wood you plan to use. This isn’t a bad thing, it is a useful material and easily worked with. For those with a larger budget other materials may come into consideration. Ready to get your deck built? We’d love to help you get quotes from competing contractors. So, you are a do it yourself guru. There is simply no aspect of home upgrade you do not feel capable of. Then this is the article for you! Not only will we go over the available options for DIY flooring, but we will hit on some of the do’s and don’ts of installing your own flooring. Your floors are at the bottom of all of your design work (pun intended). A good floor can make a room shout that it has class and style, or just make people shout asking you to close the door so they don’t have to see the monstrosity you created. First and foremost, for any DIY is that basic question of ability. Can you do it? Is it in your skill set to pull off this amazing transformation. It’s not always easy or simple to tear old flooring up and put new down. So do a careful self-evaluation of what you are capable of. If you have never done this work before, keep it simple. If you have done it a lot of times before, then go crazy. Try to keep what you want to do inside the lines of what you can do realistically. Next make sure you do some thorough research. The costs included here do not include all of the extras that are needed to complete a project. Think of things like clean up supplies, and nails or adhesives, things like tape measures and snap lines. Don’t forget buckets, or stretchers, levels and hammers. All of this must be considered as you embark on your adventure. There is some flooring that lends itself to DIY, and some that do not. There are specialized equipment or skills involved in putting some types down without costly mistakes. We’ll cover them from easiest to more complex. Paint: If you are simply looking to up the visual appeal, or some other area that uses concrete you can paint it. Painting a floor is much like painting a wall, which has fallen on it’s side. Your painting scheme can be as simple as a one color coat, or as complex as any intricate pattern or artwork you are capable of. Carpet: Carpet ranges from the ease of using carpet squares for the beginner, to the much more complicated wall to wall option. Needless to say, for those who haven’t installed carpet in the past, the wall to wall option is not recommended. For those who haven’t installed carpets before there are some considerations to keep in mind. You will need a carpet stretcher, the boards to take the edges down, and carpet padding. On top of these additional costs one mistake in cutting your carpet is all it takes to ruin the entire project. Carpet Squares ($5-$26/tile): This is much better for those looking to install carpet by themselves. Each carpet tile connects to the others by means of glue dots. This keeps the installation within easy reach of most home owners. Now, the downside is that it looks like carpet squares. Some are better than others but in the end it will never give the return on your investment that wall to wall does. Hardwood ($4-$8): So you don’t think you can install Hardwood? Actual hardwood is difficult for the dabbler to put in place. Luckily there are better options that are within the capabilities of most home owners. There are several different manufacturers that have created systems that do not require the floor to be nailed in, and this prefinished option is the best these days. It simply fits together in a system that keeps the entire floor down, without the need for nails. This means if you make a mistake you do not have to start over. Floating vinyl sheeting: Another advancement in do it yourself flooring floating vinyl sheeting is something most home owners can handle The greatest part of the new style is that it no longer has to be glued down. Installation is a relatively simple process of remove the edging. Using paper rolls make a template of the area. Transfer that to the vinyl sheeting and cut it according to the template. Place the vinyl down and trim it to fit, then when it is in place put the edging back down. Laminates ($4-$6): Laminates come in different sizes. Do it yourself laminates are composed of planks that are composed of different layers with a durable coating. These systems are click and lock designs that don’t require any gluing to stay in place. The planks are a printed design on that stands up well to light without fading. Engineered wood planks ($4-$8): Planks are designed for tongue and groove in a similar manner to the laminate flooring. The main difference between the laminate and engineered wood plank is that the top layer of engineered wood is, well, wood. It still retains the same ease of installation as the other click into place types of systems. Now that we have looked at all of the DIY possibilites, decisions must be made. It would be great if someone could look at you and say “Do this” but unfortunately every situation is different and every situation leads to a different decision. The major thing to take away from this is that it is possible for a home owner to put their own flooring down. The floor of your garage is an interesting area with special considerations. This gets the most abuse of all the areas in your house. From the weight of cars, to the pull from the tires, to the chemical spills that can occur, your garage floor is not like a basement floor even if they are both concrete. 1. Floor covering rolls/mats ($1.5-$5.5/sqft) – You can often use a mat for your garage. Garage mats come in large rolls up to 10 feet by 60 feet in size. This type is the easiest to install, you simply lay or roll out the mat where you want it. The mat can be size of your car or cover the whole area of the garage. There are many different specialty kinds available. Containment mats have raised edges to keep liquids retained, and lighted mats provide a unique lighting system for the mechanically inclined. 2. Interlocking PVC tiles ($3-$8/tile) – Similar to matting, but made of a rigid PVC, interlocking tiles can be a slightly more permanent. Tiles can be found in many different sizes, up to 18-20 inches. These are often sold as a system that incorporate designs, or special markings. PVC tiles are slightly more durable than mats and can have a longer lifespan as a result. 3. Painting ($20-$30/gal) – The cheapest option is paint. There are a few different types of paint ranging from latex paint, to paint that is partially made of epoxy resin. As in most things there are drawbacks to go along with the lower price. Driving and exposure to the elements inevitably wear away paint, leaving some parts looking new, and others barely covered. You may need to etch your concrete if it is not porous. 4. Epoxy coating (approx. $200-$300 for 1 car garage) – Often epoxy coating is confused with paint. Epoxy coating is not paint, but a multi-layer coating. One of the most durable materials, epoxy is composed of 2 parts that when mixed together combine to form an incredibly hard material. Epoxy can have different compounds added for slip resistance or aesthetic purposes. 5. Polished concrete ($3-$12/sqft) – For those who want fewer chemicals but still a deep shine may want to choose polished concrete. Polished concrete is something that won’t scratch or wear down as quickly as a covering will. However polished concrete can often be slippery, and will normally stain should it be subjected to the oils and chemicals that are prevalent in a garage. 6. Stained ($2-$4/sqft) – staining concrete can give a look that is unique and interesting. Stained concrete may not have the spill resistance or ability to withstand chemicals, but the stain can sometimes hide spills better than bare concrete. Stained concrete has the ability to not show the wear and chips that may happen in concrete. 7. Sealer ($3.25-$5/sqft) – Sealer is one of the cheaper options for concrete. The sealer makes the concrete sealed by putting a coating over it. This prevents dust, and gives resistance to spills and chemicals. A sealer works by filling in the pores of the concrete not allowing other liquids to penetrate. Sealers do nothing for the aesthetics of the bare concrete slab. 8. Concrete densifier ($45-$200/gal) – Densifier is applied to the surface of a concrete slab. When it is placed on the slab it penetrates it and a chemical reaction occurs that makes the concrete denser. Without being boring, the top of the concrete slab is the least dense parts, the smooth surface being the weakest part. Densifier bonds the concrete together making it much tougher than untreated concrete. Having a “green” floor is something a lot of home owners are trying for these days. Your goal towards a greener floor rests on a simple equation. It is not merely about the material, you can have a green material that takes so much in transportation and creation that it becomes very ecologically damaging. 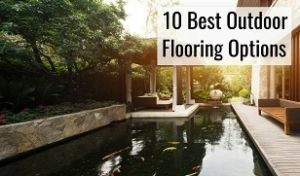 There are 8 main green flooring options that will help you keep your house more eco-friendly. When looking at flooring, don’t forget to take into account the overall impact. Ask yourself the following questions. Does it come from a renewable resource? Can it be recycled to give it a longer lifespan? What is the distance it is transported to get to you? Is it toxic to the environment? There are 8 main options to consider. 1. Cork ($1.5-$4): Made from the bark of the Cork Oak tree this option is one of the most ecologically friendly. The Cork Oak tree is not cut down to create this, and few chemicals are necessary in processing it into flooring. It has natural aspects that give it resistances to mold and insects. Transportation is an issue but due to the low impact of creation it balances out for the most part. 2. Bamboo ($2-$5): Bamboo grows rapidly, allowing it to be harvested often. This makes it a renewable resource. Bamboo doesn’t even have to be replanted, the stalk is harvested leaving the roots to regrow. The only drawback is the cost of transportation. Since it is grown mostly in the Pacific Rim it has to be transported to the states. 3. Carpet ($3-$15): It is difficult to find green carpet options. Most carpets are made of oil byproducts that are not eco-friendly in the slightest. Also there is the problem of trapped substances in the carpet after installation. While the carpet itself may be a green, it can still become unhealthy. This unhealthiness is caused by mold, and other substances that build up in the carpet. 4. Stone ($7-$35): Stone is easily thought of as the most natural choice. After all, it’s made from rock. Unless you could make a floor out of water rock is one of the most abundant materials on the planet. The only considerations for it being eco-friendly is the environmental impact of its creation and transportation. 5. Hardwood ($5-$30): Hardwood can be an ecologically friendly substance if recycled wood is used. Recycled hardwood can be found in old homes, churches, or other sources. By using recycled hardwood you can stay eco-friendly as well as get the look you are trying for. Recycling old wood into new flooring can give a unique look, which is often sought after by home owners. 6. Linoleum ($2-$5): One of the few truly neutral systems linoleum is made from flax. Flax grows quickly and in many different areas. This means this flooring is one of the most ecologically friendly alternatives. Linoleum can last up to 40 years, further lowering the impact on the environment by not requiring frequent replacements. While sometimes not considered stylish, linoleum is often one of the best options for ecologically friendly flooring. 7. Ceramic Tile ($5-$30): There are companies that specialize in the production of eco-friendly tile. These tiles are made up with a percentage of post-industrial recycled content. This post-industrial content is usually either waste or byproducts of other manufacturing. It doesn’t make the tile totally eco-neutral but it does lower the ecological impact of the tile. 8. Recycled Options ($30-$100): It is not just hardwood that can be recycled, many other substances can be recycled and made into eco-friendly flooring. Glass, tile, and other substances can be repurposed or processed to make a green floor. Take a closer look at anything that simply says recycled to be sure that it really is a green option and not a sticker placed on a box. Hardwood is one of the most sought after types of flooring in a home. Your hardwood options are many and varied, so how do you make the best choice? There are 4 main things to know in order to make an informed and smart decision. These 4 things are not the only aspects of hardwood that you should take into consideration. As always you must think about the aesthetics and the overall suitability. 1. You have several styles to choose from. Strip: Strip flooring comes in strips of 1 ½, 2, and 2 ¼ inches wide of varying thickness. This is the normal style of hardwood in use in most homes. The strips can be arranged in various patterns for a unique look. Plank: Plank flooring comes in only a few thicknesses but in a variety of widths. This gives a different look than strip flooring due to the width of the planks. Planks are is visually more like the look of decking and can be a pleasant departure from the norm. Parquet: This type is one composed of small pieces of wood. These pieces can be arranged in many different patterns and often use different types or stains to give a custom look. These types of floors are often mosaic in nature. They are the costliest hardwood and often require professional installation. 2. You have different types to choose from. The following are the most common types of hardwood for home use. Each option includes the average price at the time of writing, and the Janka score of the wood. The Janka score is an objective measure of the hardness of a wood. To give you an idea of what this score means, balsa wood is 100 on the Janka scale, while Brazilian Ebony has a score of 3692. White oak ($4.6) – White oak is brown in color but can have a grayish cast. The grain is similar to red oak, with more burls and swirls. It is harder and more durable than red oak. White Oak has a Janka score of 1360, with the high rating making it a good choice for entryways and hallways. Beech ($5-$6) – Beech has a reddish brown color and a very consistent grain. It is quite durable and has excellent shock resistance. Beech has a Janka score of 1300 and is best suited to high traffic areas and common areas like kitchens. Red oak ($3.30) – Red oak is the most popular option it has a reddish in color with a coarse grain, it’s a stiff and dense wood that resists wear, but not as well as white oak. Red Oak has a Janka score of 1290 and is widely used in bedrooms and living rooms. Cherry ($5) – Cherry wood is a light brown color. Because it’s a soft wood, cherry isn’t often used for a whole floor. Instead, it makes an excellent decorative or accent wood. Cherry Wood has a Janka score of 950 which makes it less useful in high traffic parts of your home. Paper Birch ($3-$11) – Birch can range in color from light yellow to dark brownish red. It’s somewhat softer than red oak, but is still a strong wood. Paper Birch has a Janka score of 910 and is more suited to lower traffic areas. Pine ($4)- Pine is a yellowish brown color and contains a lot of swirls and knots. It has a natural resistance to insects and is about as hard as red oak. Pine has a Janka score of 870 which is well down the scale from the industry standard of red oak, some home owners use this softer wood to have a floor that will dent and scratch allowing it to acquire character. Douglas fir ($4)- Douglas fir is a yellowish tan color. This wood is about half as soft as red oak and can dent easily. It is only appropriate in certain situations. Douglas Fir has a Janka score of 660, making it best used for houses that do not see much traffic. There are many more exotic woods that are available as well that are not listed here. Further information on exotic hardwoods can be found at the references below. Quarter cut: In this type of cut the source tree is cut in a radius towards the center, straight line grain patterns are the result. This is the more expensive possibility and is less common. Flat sawn: These type of planks are cut straight across and leave the grain pattern in flame like patterns. This is the more common pattern and the one most home owners are familiar with. The different grades of wood relate to the quality of the wood. Every tree is not created equal, and even within the same tree there can be flaws. The grades of wood are below. Clear: No visible defects allowed. Look of the wood planks is consistent in each lot with no large differences allowed in grain or color. Select: No visible defects are found in the wood, planks are straight and unwarped, the wood requires no additional work to be used as flooring material. Some variation in coloring and grain is allowed to incorporate more variation in the wood species. Natural: Some defects are allowed including small knots, some splits and wormholes. It contains the full range of colors and grain within a species. Rustic: Allows many defects, larger knots and splits are accepted. The full range of color and grain within a species are allowed in this grade. The choice you make from the many hardwood flooring options that are available ultimately must be the one that fits your specific situation. Balance between cost and aesthetics is as important in choosing hardwood flooring as it is in any other material. If you are lucky enough to be able to put your own home gym together, you have some things to consider. Your gym has some special considerations that need to be addressed. Your home gym flooring needs to provide enough traction to be safe, be durable enough to withstand the uses you are doing to put it to, and have the capability of being cleaned from its use. #1. Rubber Matting ($1.6): For heavy weightlifting, there are few materials as good as rubber matting. These are also known as horse mats. These mats are thick, they lay flat, and they stand up to the rigors of weights being dropped on them. They provide a good layer of protection. When new they often have a strong scent, and this can linger in smaller areas. #2. Virgin Rubber ($15): Virgin rubber can be purchased in tile or roll forms. The cost is much higher than stall mats, but for this greater price you lose the smell that usually can be found in stall mats. This is the type that is usually found in commercial gyms. Virgin rubber can be found in many different colors, that go all through the substance and won’t be worn away. #3 Interlocking EVA Tiles ($1): Ethylene vinyl acetate mats are thick durable foam mats that lock together. They are the easiest to replace should they get damaged. However often these tiles do not lock into each other completely. This can leave gaps, or ridges that can be a safety hazard. #4 Carpet Squares: Carpet squares can provide a warmer feel than rubber or foam. These squares are easily installed by the home owner and can protect against scrapes and scratches from exercise equipment. Carpet squares don’t protect the underlying floor from denting if weights are dropped however. Carpet squares are not very resistant to staining, but can be changed out. #5. Cork ($1.25): Cork is the cheapest of the eco-friendly options that is sometimes used for gyms. It is not one of the better possibilities because it can be torn, and dented from your equipment. It does provide some protection to the underlying flooring from weights and scratches but does suffer that damage itself. #6. Concrete: There are many materials available for concrete that can be used in your home gym. The main drawback to using bare concrete is that it is easily chipped if you are using your gym for weight lifting. It is often suitable if you are using your garage or basement for your gym space. There are other possibilities, most regular options could be used for a gym. Most wood, laminate, and tile are not recommended for use in gyms. All of these are less durable, will break, chip and scratch. If you are looking for a new way of heating your home, you should consider an in floor heating system. In floor heating is more commonly called “radiant heating” and can often be found by looking for options named that as well. When you are making your decision, there are some main considerations to keep in mind. Water ($6-$16/sq ft): Water, also called hydronic, is most commonly used in new construction. Hydronic systems use a boiler that heats the water which is then directed into small tubes. This heated water is directed through the small tubes under your flooring, or built into the concrete slab if available. While more expensive initially, water is an excellent long term solution. Water is the cheapest choice long term, but more expensive at the start. Electric ($6/sq ft): The electric option is the most versatile choice. This is the more common type for those installing it after the house has been built. Pre-configured mats are the normal method of installation for electric in floor heating. This makes the overall installation easier as the spacing is predetermined and the separate mats are simply connected together. 2.More efficient than forced air. In floor heating options are more efficient because they heat from the ground up. Radiant heating begins at the lower portion of a room and then slowly rises. This is more efficient than a forced air heating system. In a forced air system, the hot air immediately rises and the room is heated through this warm air moving around. Radiant systems begin by heating the area where people are, near the floor. This often means that your thermostat can be set lower, resulting in a lower energy bill. While most in floor heating is put into place when a home is constructed, that isn’t always the case. It is not just for basements either. Existing homes can often be fitted with it anyway, though. This can be done by pulling up the floor and placing it underneath. Another option is that if there is access to the joists, there are systems designed to be put between the supports underneath the existing flooring. There are some materials where heating will simply not work well with. There are a few reasons for this. Choosing carpet or another padded material can insulate your room from the heat that is generated. Wood is a bad option as the heat fluctuations can cause wood to warp and bend. 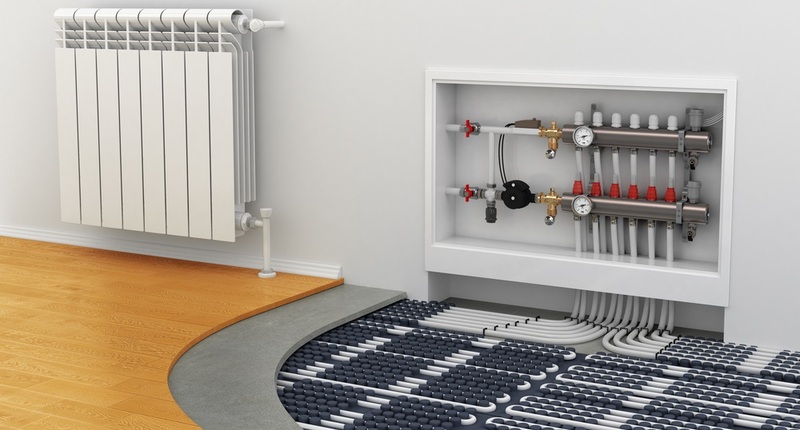 The best types for use with in floor heating are those which hold the heat the radiant system creates and then helps it transfer it into the room. Materials like stone, and tile are the best. For those who like the look of wood, engineered wood systems can give the look of wood without the problems that solid wood has standing up to the temperature changes. An added bonus is that it can benefit those who have allergies. Forced air systems pick up and move allergens through your home as well as retain them in ducting. Radiant heating causes less disturbance in the air and so create less airborne allergens. Dust mites are the primary cause of allergy suffering. has been shown to remove up to 50% of dust mites in a home. This happens both through driving them from the lower reaches of carpeting where they are often immune to vacuuming, and drying the area closest to the floor where they live. This provides allergy sufferers with much needed relief, in addition to the other benefits of in floor heating. In floor heating is an option that you should explore both when constructing a new home and when you are considering renovating an existing home. Using an in floor heating system can give you the benefits of economical heating and the unique comfort of warm feet on even the coldest days. Your kitchen is one of the center points of your home. A good kitchen can make or break an otherwise refinished home. When remodeling your kitchen, or constructing one for a new home, the options available to you can often save or ruin your home design. When looking at kitchen flooring, think about the amount of traffic that will be in your kitchen. Also consider what your goal is, is it maximizing resale value, or simply putting down the most durable and long lasting material possible. 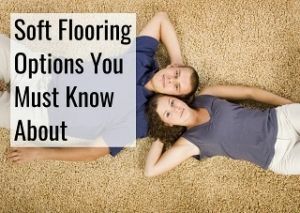 How does each of the available options fit into the flooring you have in the rest of your home? 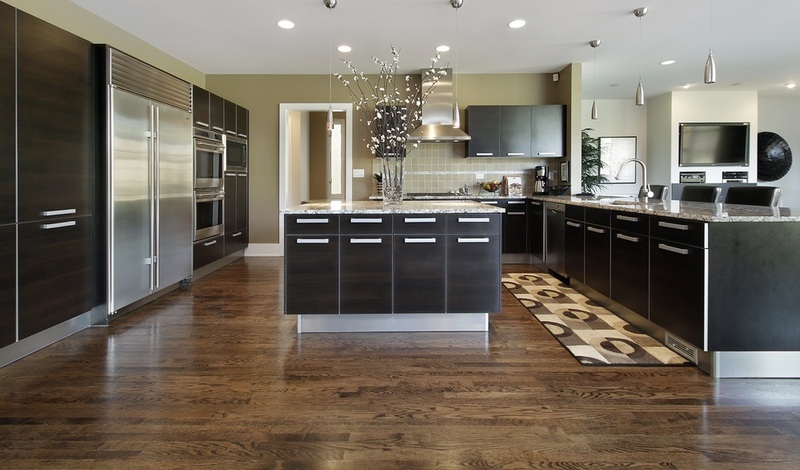 Think of these questions as you begin thinking about what kitchen flooring works best for your home. Concrete ($1-$2): Concrete, it’s not just for basements or garages anymore. While not the most common material around, concrete is one that has a place in some kitchens. Concrete has the added bonus of being able to be poured into place over most other types of flooring. This ability to be poured into place can also level a floor that has issues. Concrete can have many different finishes that range from simple sealant to polishing. A properly sealed or polished floor is waterproof and nonporous which can resist stains remarkably well. Concrete is not the most comfortable for those who might stand on it for long periods, but this can be fixed with a rug of some sort. Linoleum ($2.5-$5): Linoleum is the ecologically friendly option of the 1950’s. Linoleum was the most popular material until a run of bad manufacturers and negative press made linoleum seem bad, while at the same time vinyl was developed causing linoleum to fall from favor. With a few modern improvements linoleum is making a comeback. One of the best benefits is that the pattern goes through the entire thickness of the flooring. This means that in the event of scratches or chips from kitchen items falling that the damage is less noticeable. The ecological impact is minimized for linoleum as it’s is created with all natural components in a process with less manufacturing than other materials. Vinyl ($2-$7): Second only to hardwood, vinyl is one of the most popular materials for the kitchen. Vinyl can be found in both tile and sheet forms, each with their own advantages. Vinyl is inexpensive, durable, long lasting, requires almost no maintenance, and can be found in many different styles. Vinyl can mimic other materials as well, giving the appearance of stone or wood. Usually made with a felt backing, linoleum can be comfortable to stand on for long periods of time. The pattern is printed on the top of the vinyl though and scratches or burns can remove the pattern. Vinyl can last up to 20 years without having to be replaced or requiring much maintenance. Stone tile ($7-$17): Stone tile is another good choice; it has the advantage of being a natural substance. Also stone is a bit more durable than ceramic. The issue with stain in the grout line still exists and care should be taken to seal the grout to make sure that this doesn’t occur. Stone itself can also stain and must be sealed to make sure that you can use it in the kitchen. This will need to be reapplied occasionally, how often mostly depends on traffic going through your kitchen. Cork ($7-$16): Likely the most ecologically friendly option, cork can serve as an interesting choice. Made from the bark of the cork tree this is very green, which is something a lot of people look for with new flooring. The advantages to this is that cork is the most forgiving of the surfaces, and has a unique feel to it. However cork is very porous and will need to be sealed relatively frequently to work. One of the major drawbacks is that it is not the most durable choice. Cork can also scar and chip which would need to be repaired and resealed each time it happens. Wood ($8-$24): Wood is the most popular option just as it is for most other rooms in your home. Hardwood can give a warm comfortable feel that ties in different rooms. Where linoleum and ceramic may be good for your kitchen they rarely are used in the other areas of your home. 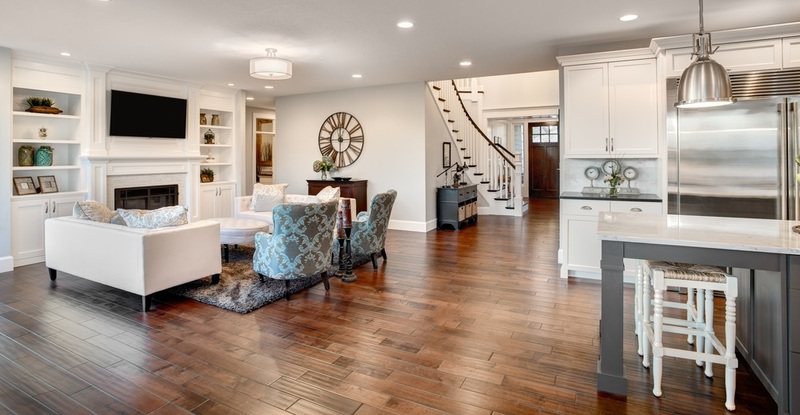 With open floor plans, hardwood can be used throughout the entire home, providing a consistent look. Hardwood comes in many different variations and prices. As far as resale value goes hardwood will give the best return on your investment. Ceramic tile ($6-$30): Ceramic tile is one of the most expensive of the available materials. Durable and available in a lot of different colors and styles it can fit almost any décor. Ceramic tile can range from the relatively inexpensive solid color tile, to tiles that can mimic stone or other substances. Care has to be taken to seal the grout lines however, as they can stain otherwise. The durability of ceramic tile and it’s more upscale reputation can give a better return on your investment when you resell your home in the future. Your living room is often the focal point of your home. When considering your living room, you have to take into account the normal considerations of form and function. Think about how much traffic your living room will have. Also how much maintenance you are willing to do. One option may seem perfect, but not work for your home. Take a look at the different possibilities outlined below. Each material has to be looked at to see if it will work for your home. The most expensive is not always the best. Wood: ($8 and up) You have a lot of different options for wood flooring. Wood can either come as hardwood or engineered. Whichever you choose; wood is one that can provide the highest resale value. The vast majority of new homes are constructed with hardwood, and most remodeling projects include hardwood. Wood can be relatively maintenance free and have good long term durability. With the possibility of engineered hardwood available to a home owner this is even more true. Engineered hardwood may not give you the resale value of hardwood, but it is often more durable and has a better warranty. Carpet: ($3-$5) While carpet was a mainstay of living room décor for years, it’s not necessarily the most popular choice now. Your living room is one of the highest traffic areas in your home. Because of this it also has the tendency to stain and be worn down the fastest. This can sometimes be offset by stain and wear resistant options for carpeting. Carpet is not good for those with allergies. The thick carpeting retains odors, and dust mites which are the main source of allergy issues for most people. These allergens stick around no matter how much you vacuum. Vinyl: ($2.5-$3.5) For those who aren’t worried about resale value, vinyl is an attractive choice. Many different styles of vinyl exist. Vinyl provides the look of more expensive materials with a much cheaper price. Vinyl is often slightly better than some other options as it provides a bit more insulation than the actual materials that they replace. Often vinyl will provide be long lasting and durable, low maintenance. Vinyl never needs to be resurfaced and is a mop and go sort of product. Other choices will need to be resealed occasionally to maintain their luster and waterproofing. Stone: ($16-$23) Stone can create an upscale look for your living room. Stone can be found in a variety of different options for your living room. Stone is one of the more premium materials and can greatly increase the resale value of a home. Where stone can sometimes feel cold and overly hard underfoot this can often be taken care of with a rug. Concrete: ($4.75-$6.50) Not one of the normal choices, concrete can be an interesting choice. When thinking about concrete you have to think beyond the old garage concrete. Polished concrete can be painted and patterned to give a beautiful design that can fit into a living room. Concrete has the same problem as stone, in that it is an unyielding surface. This can be handled with rugs though. Tiles: ($5.30-$14.00) There are several types of tiles. There is both laminate and ceramic tile available for your living room. Tile can be attractive and it is more durable than vinyl. The pattern or coloring goes through the entire flooring so scratches do not make the flooring need replacement. Our flooring options change over time. What was the standard 20 years ago is no longer what a home owner should shoot for. Remember wall to wall shag carpeting? It’s okay if you cringed, but at one time that was the type people wanted. 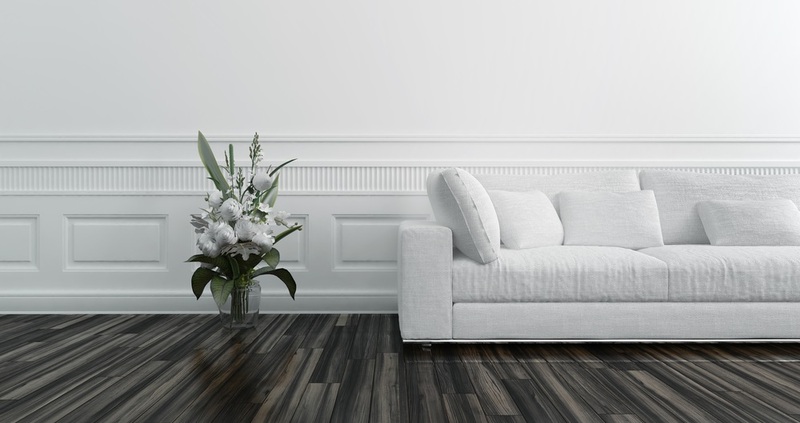 Whether you are building a new home, or refinishing an existing home, it is the best time to upgrade your floors to something new and modern. Modern flooring doesn’t always have to be a newly developed product. Sometimes an old floor covering becomes popular and modern. Either the price of a substance drops, or a new manufacturing method makes it a good choice. No matter the reason for why something becomes an option, here are 10 you need to know about. Hardwood: The king of flooring, hardwood will always be modern and timeless. This timelessness means that you get the most return for your investment. For those interested in a modern interpretation of hardwood, there is the option of engineered hardwood that are lock in place systems. Engineered hardwood can be more durable than the actual hardwood you can buy. Titanium Oxide flooring: As far as modern flooring goes, a titanium oxide floor is about the most modern you can find. It is easy to clean as it creates a barrier making it difficult for dirt and spills to stick to it. It purifies the air in your home, removing toxins and airborne volatile chemicals. It does this through a reaction between sunlight and the flooring, the surface cleans the air it comes in contact with for the life of the material. Luxury Vinyl: Luxury vinyl tile is a modern upgrade to the vinyl everyone knows and loves. Luxury vinyl tile is not made in sheets like old vinyl. Luxury Vinyl is found in both tile and plank forms. The use of modern techniques means that the option of luxury vinyl can mimic much more expensive materials. This ability to mimic another substance is enhanced by the ease of maintenance involved with vinyl compared to the natural substances. Leather: While not as technology oriented as titanium oxide, leather can be a modern choice. Leather can give a modern, luxurious and very unique look that is difficult to match with other options. Leather can be left with the natural grain, or embossed to create an even more unique surface. Leather does need to be resealed frequently, and may have some wear problems if not kept up. Concrete: Concrete is a modern choice that is seeing much more use these days. Where concrete flooring used to be limited to the garage with sealants and in floor heating, concrete can often be something cutting edge. With the proper painting and staining your floor can look modern and be something incredibly interesting. 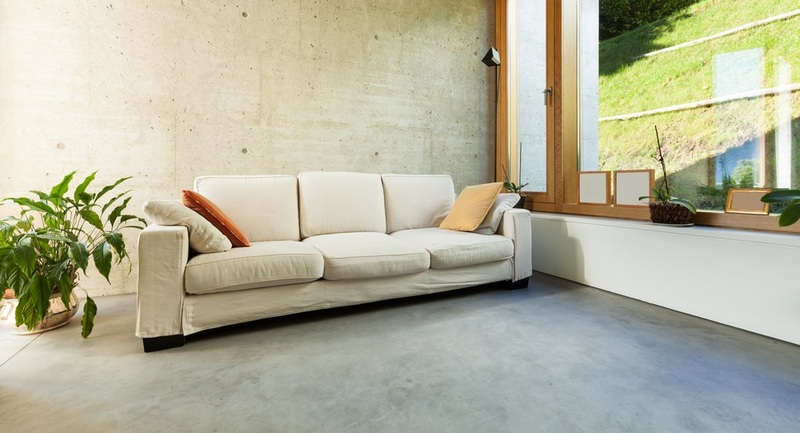 Concrete, when properly done, can be a long lasting durable surface that can provide a modern look to a home. Glass Tile: Not just for dance floors any more, glass tile can be an innovative solution for modern homes. The glass tile is a variety that is specially strengthened. This type of glass is also treated to be slip resistant due to how slippery glass gets when wet. Glass can give a unique look that is difficult to replicate with other substances. Liquid Lava Tile: One of the further out of the box modern choices is liquid lava tile. These tiles are composed of a substrate flooring, with liquid sandwiched between the bottom of the floor and a touch upper floor. This makes the liquid react to being walked on. It will literally change how it looks as you walk on the surface. Antibacterial Ceramics: Listed separately from titanium oxide flooring, it is made with an addition of silver to the ceramic material. This means there is no hydrophilic properties, nor is there need for light for it to work. The silver kills bacteria on the tile, making rooms smell better, and results in a healthier environment. Wood Marquetry Flooring: As a modern option, wood marquetry might seem an odd choice since it has been used for centuries. However, in the past this was beyond the reach of all but the homes of the rich. With innovations in flooring systems, wood marquetry is a possibility that is now available in modern homes at an affordable price. Approximately half of all home owners also own a pet. This means that half of the people reading this need to consider their pets when they are looking for new floors. Choosing the best can make a huge difference in the way your floor lasts. Pets can be a challenge, be ready for that challenge by thinking it through before buying the floor. When you are looking into materials that are pet friendly you should keep four things in mind. These four considerations will help you decide which material is best for your pet, and for your long term happiness. How resistant is the flooring to the scratches caused by claws? How resistant is it to liquids and other damage? Will your pet have traction on the flooring, or will it be slippery to them? Will it be comfortable for your pet, or cold and unforgiving? Vinyl: As far as flooring goes, vinyl is by far the best option. Not only does it stand up well to claws and stains but it provides some traction for your pets. Vinyl is usually warmer than stone and provides some thermal insulation. The relative softness of vinyl also makes the sound of your pets claws hitting the floor fairly quiet. All in all, vinyl is one of the best choices for your pet, with advances in manufacturing it can look upscale as well. Bamboo: Bamboo is actually a very good material. 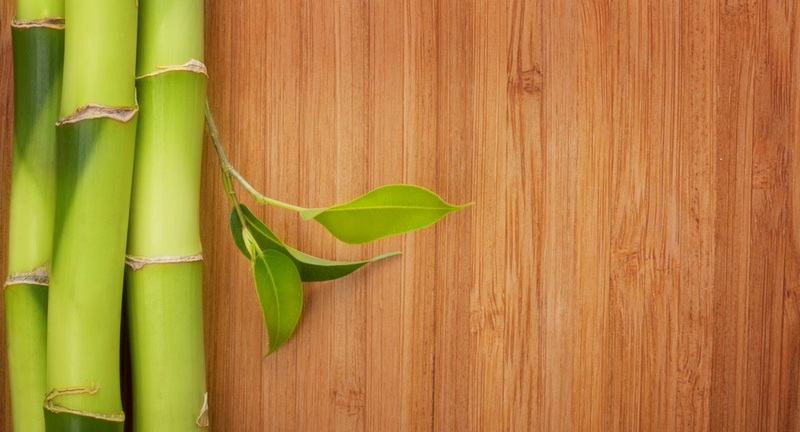 Harder than hardwood, bamboo can resist the scratches from your pets nails really well. Another benefit is that bamboo doesn’t stain as easily as hardwood, and it doesn’t retain liquid like hardwood. With all of these benefits if you want the look of hardwood without the pet problems, bamboo is your best bet. Stone Tile: Stone can be good. It stands up well to the scratching of claws and will need minimal refinishing to stay in top shape. Most nonporous stone will not retain any urine or other liquids. It’s still a pretty cold and hard for your pet, and you will benefit from some artfully placed rugs and other soft surfaces such as pet beds. Cork: Cork is one that you don’t hear about very often. It’s softer than hardwood, so will be much more susceptible to scratches from claws of all pet types. But this softness is why it’s on the list, as it makes for comfortable flooring for your pet. It’s a good thermal barrier so isn’t as cold as most other types. As far as damage goes, cork can be resealed and refinished but it can’t be sanded and completely refurbished like traditional hardwood. There are additional benefits to cork, as it is both antimicrobial and antibacterial. Laminate: The choice of laminate flooring is one that can be a problem for some pets. While laminate is exceptionally durable, this same durability can be the problem. The durable surface is like ice to pets, leading to them slipping and sliding. This can cause this to be one of the least pet-friendly options you can pick. Laminate can also be one of the louder materials because of this finish. So while it gets high marks for the durability and stain resistance qualities, it rates pretty low on the pet comfort aspects. Hardwood : Hands down, hardwood is the material that is most sought after by home owners. The return on investment is good, and the majority of modern homes have hardwood. However those with pets should avoid hardwood if possible. Your pets will thank you for avoiding hardwood, as it is often slippery for them and can make walking difficult. You will thank yourself in the long run as well. 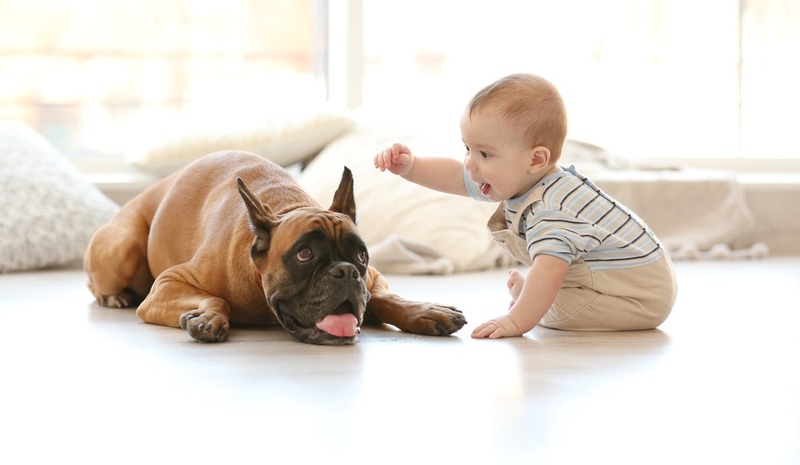 Your pets can scratch your floor, unless you are choosing an expensive option with high durability. Even should you choose the hardest of woods the inevitable issue moisture issues from urine and water bowls arises. Even worse, without care the hardwood can soak up urine and the smell can be impossible to get rid of. Carpet: As far as pet flooring options, carpet is unarguably the worst. While it will be the most comfortable for your pets it rarely holds up well to the spills and shedding of your pet. Carpet retains the smells of your pet and this is something almost impossible to get rid of once it has settled into the fiber. There are a few materials that resist stains more than others, but none of them will resist it completely. Loop type carpet can catch your pets claws, snagging their claws and making walking difficult. Your pet is part of your family and is something you should keep in mind when picking your new flooring. While vinyl may not have the luster or return on investment that other materials do, it will often hold up better. So do your pet a favor and choose the one that you won’t hate them for, and that they will love you for picking. 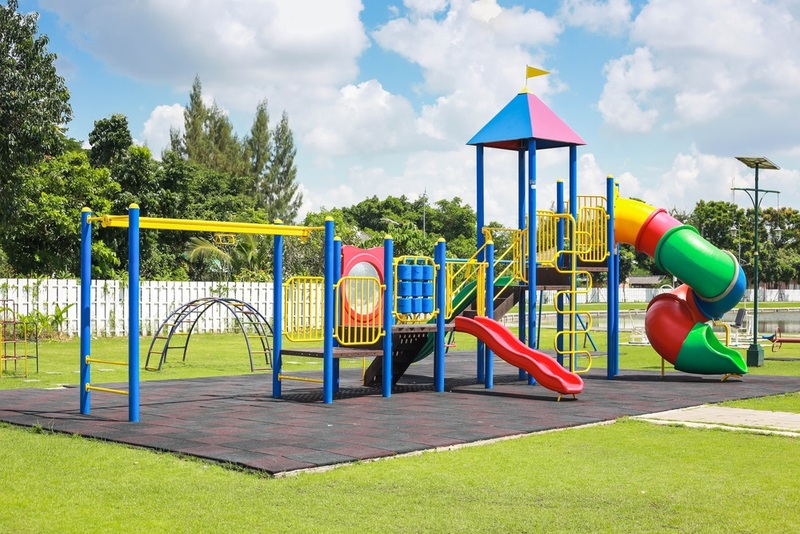 As you’re looking at playground flooring, there are some things that you need to keep in mind. First, of course, is how safe the material you choose is. The height and types of equipment will drive your decision, what is safe for a single slide is not as safe if you have a 10 foot tall slide that kids can fall off of. 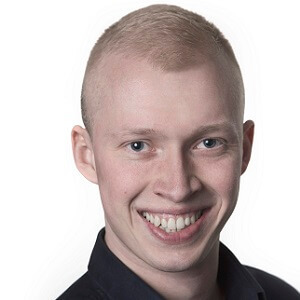 Consider upkeep and how you will maintain your site. Loose fill will require borders to keep it in that must be maintained, and even the best material will need to be raked to maintain the proper depths at the right places. Unitary – This type of playground flooring gives a smooth surface that requires much less maintenance than loose fill. These are your normal pour in place materials that once installed require very little upkeep. Also included in unitary options are tiles, which can often be snapped into place. Loose fill- In this type of playground flooring the base material is not one piece but is composed of small pieces held in place by edging. Loose fill includes rubber mulch, sand, wood chips, and any other type of material that is not one solid piece. The main problem with loose fill playround flooring is that they are usually kicked away from the places they are needed most. This means that constant maintenance is needed to put the fill back in place. Dirt: Aside from concrete or asphalt, dirt is the worst material you could pick. Dirt has very little capability to provide any safety for falls. It both easily compacts, and is easily kicked away from the high traffic areas where it is truly needed. Sand: A small step up from dirt, sand can be a better choice. When it is at the appropriate depth sand can give adquate fall damage protection. Sand has the issue that it can be easily compacted and kicked away from the places it is needed. Even 6 inches of sand only allows you to safely have a height of 5 feet for your play equipment. Wood Mulch: Wood mulch stands up much better to the wear and tear of being used on a playground. Wood mulch is better at staying put where it is placed, the chips are larger and harder for small feet to kick away. There are both standard hardwood type chips, and engineered fiber chips. The engineered chips are normally the better choice for many reasons. Engineered wood chips don’t attract insects, and due to their interlocking fibers harmful items don’t normally get buried. Shredded Rubber: Shredded rubber gives you the same benefits of wood mulch with the added benefit of it not being a substance that decomposes. Being made of rubber it gives good impact resistance and is what is recommended for use in playgrounds by the government’s guide for playground construction. Normally shredded rubber makes use of recycled tires that have been treated to prevent the chemicals from leeching out. Pour in Place Rubber: For those who worry a little about what might be hiding within loose fill rubber, pour in place rubber can be a better option. The added benefit of pured in place surfaces is that they are more accessible for wheelchairs and other handicapped children. Poured in place rubber surfaces also can be put into place with various colors. Rubber Tile: Where there is a need for less of a permanent installation, but the benefits of rubber are desired rubber tile can meet your needs. Rubber tile is composed of a top wear layer, with an underlay that helps the tile meet falling requirements. These rubber tiles are great for allowing wheelchairs and being handicap accessible. Artificial Grass: A cousin to rubber tiles is artificial grass. With this, a layer of artificial grass is put on top of rubber tile. This gives the look of a grassy field while keeping the safety features of rubber tile. When looking for playground flooring the main consideration is safety. This will drive every decision that you make. Looks and cost are secondary concerns to what is safe for the playground environment. Playgrounds on bare dirt are a thing of the past. Choosing the best modern flooring will make your playground safe and sustainable. As you look at stone flooring, you wouldn’t think simple rock could be so complicated. The decision to use stone is not a simple one of to use or not use stone. There are many different options to choose from for raw material. You also must choose the finish you are going to give the stone. Stone flooring types include everything from travertine tile, to ultra high end marble. When you are looking into this consider the cost, and how it fits into your overall design. There are many options to consider. To help you make the most informed choice let’s take a look at the materials you have available. These range from the types of stone that are available to the way these options are finished and put into place. Granite ($5-$50): Exceptionally hard and strong stone. Granite resists scratches and acid etching really well. It is often used for food preparation areas and those with high traffic. There are many varities of granite available on the market. This makes it ideal to match the style of the house that you are putting it in. Granite will need to be sealed and maintained for it to be at its best. Limestone ($3-$4): Much less durable than granite or marble limestone has a great look and it’s earthen tones are warm and inviting. This lack of durability is one of the main reasons many home owners opt for a ceramic tile that looks like sandstone. This doesn’t mean that sandstone isn’t a good option though. Sandstone ($2-$7): Known for it’s ability to come in a wide variety of colors and looks sandstone can be a very good choice from the many available options. Sandstone is less durable than other types of stone, but with the proper maintenance it can last for years. Being a softer stone it is susceptible to scratches and water absorbtion. Due to the water absorbtion problem it is not often used in bathrooms or kitchens. Marble ($10-$50): One of the most sought after flooring materials marble is considered a luxury tile. There is little that matches the beauty of marble however, with the intricate veining and other subtle characteristics that can make a marble tile near a work of art. This also causes a unique problem though, as these subtle veins make mathcing tiles to each other an imperfect science. It’s recommended that you lay out an entire floor to ensure that the tiles match, as even within a lot the shades can vary from beginning to end. Travertine ($2.25-$3.50): Travertine tile is another often sought after luxury stone. It’s also another stone that is extremely pourus and requires good maintenance. Unpolished travertine is vulnerable to moisture and dirt. Once stained it is difficult to clean because of how ingrained the dirt gets into the stone. It’s a heavy stone though, and once you put it into place not easily replaced. Slate ($2-$30): Those looking for a darker stone often turn to slate. Normally grayish, slate is a durable stone but will still need to be sealed for proper maintenance. Slate is not as porous as some of the other types of stone that are available. This makes it much more useful both for both interior and exterior applications like a porch or deck. Agglomerate ($2.50-$3.50): This option is composed of rock chips in a binding material. This could be cement, epoxy, or another durable binder. The main benefit of an agglomerate floor is flexibility. In a way it is like being able to pour rock into whatever shape you need. One of the best known agglomerates is terrazzo. Most modern terrazzo is made from chips in an epoxy binding agent. This makes it an durable and non-porous flooring that requires little maintenance. Even the standard concrete type of terrazzo flooring is exceptionally durable with some floors constructed hundreds of years ago still doing great. Stone is a material that can have different characteristics depending on the surface that you decide to give it. The surfacing will change both where it will work best, and the maintenance that is required. Polished: Stone can be polished to a high gloss that looks like it has been waxed. This shine is accomplished by sanding the stone with finer and finer material until it attains a mirror like surface. Depending on traffic this polish can last a long time with little maintenance. This type of surface is most often found in living rooms and hallways. Honed: A surface that is more satin or matte, honed can give a less formal look to stone. This surface is basically accomplished the same way that a floor is polished. The process is simply stopped at the desired look instead of continuing to the highly polished point. Acid-Washed: When you acid wash a stone it becomes shiny, but not uniformly flat. Small pits in the surface give it a more intersting appearance. Also it helps a floor have some shine, but not be as slippery as a highly polished floor will be. This is often a good choice for shower floors. Saw-Cut Refined: This option is attained by simply giving the stone a slight sanding after the initial cutting at the quarry. This is normally not a standard finish that you purchase and often requires a special order from the company. Flamed: To get a flamed finish the face of the stone tile is heated and then rapidly cooled. This makes the surface rough and removes any surface polish that may have been done to the stone. It leaves the surface of the stone better for places where you need it to not be slippery. It is seen in places like outdoor patios and shower areas. Tumbled: Tiles can be placed in a large machine, the process leaves a surface that is relatively smooth and rounds the corners and edges. Brushed: If you want a naturally worn look, without having to walk on the stone for years this is the option you should choose. The surface is acheived by brushing the surface of the stone with different materials, simulating the wear on stone over years of use. The last major decision to make is grout. The grout between your tiles is an important design consideration. Grout can be used to emphasize tile, or tie it together. Once you have made the choice of stone, make sure you choose a grout that works with your intentions. For normal grout remember that it will soak up liquid, stains, and dirt more readily than your stone. Sealing your grout or choosing a latex based grout will help prevent this. Vinyl can be found in an overwhelming number of homes. This use is due to the incredible versatility of the product. Vinyl is not limited to just one look or style. With advances in modern materials, vinyl is a versatile and durable option that can be found in many homes. Vinyl is made by layering different materials together. Vinyl with a backing of felt or fiberglass. This base layer is the one closest to the floor. For those looking for a soft feeling, the use of felt will give it the softness you are looking for. Above the backing layer is the core layer of the vinyl, this is where inlaid colors are inlaid. The core layer is also where the printing is put on top of for printed vinyl. The final layer is the wear layer, this is what will give vinyl the durability it is known for. 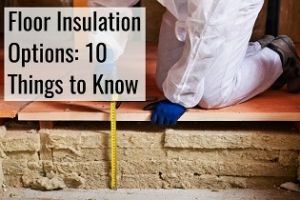 Some of the benefits of these is that they can be installed over existing wood flooring, other vinyl, pretty much anything that isn’t overly flexible. Vinyl is easy to maintain, it requires no resealing or refinishing. The shine is built into the product and requires only minimal maintenance like mopping and cleaning. Luxury Vinyl Plank: This type is found in various widths and lengths, much in the same way that hardwood is found. This is because plank vinyl is made in order to mimic the look of hardwood, and is found in various widths and lengths. Since it effectively mimics hardwood, it can be used in much the same way. Vinyl made into planks is not in any way flexible and should be thought of much like hardwood. They often come in flooring systems that are pre-made to click together requiring no nails, and can be installed as a floating floor easily. Luxury Vinyl Tile: Vinyl also comes in a format called Vinyl Composite Tile, or just Vinyl Tile. These tiles are cut into precise sizes and can be found to fit any room. Once again the versatility of vinyl means it can look like many of the stone flooring types. The tiles come manufactured in different widths to avoid having to cut them specifically to size on site. These tiles are available with self adhesive backs to make installation easier. Or they can be found without backing and can be put into place using normal tile layout methods. Sheeting: One of the main types that people are familiar with is vinyl sheeting. Normally vinyl sheeting comes in widths of 6 or 12 foot wide rolls. The rolls are bought and cut to length at the store, and final trim is made at the location. This type is the best material for places where moisture is a problem or where seams are unwanted like in your kitchen or bathroom. This is the softest option and when placed above a cork underlayment, is only rivaled by carpet for softness. The most important part of your vinyl is the wear layer. This layer is what will determine how long your flooring lasts, and how it looks as time passes. Skimping on the wear layer and buying one for a low traffic area isn’t going to work well for you. Vinyl can’t be refinished, if it wears through, the only thing you can do is to replace it. For tile or planks this is not a huge issue, for sheet vinyl this means taking up an entire section and replacing it, and it will not likely match even when this is done. Grade 1/No Wax: This level of wearlayer is mostly a glossy coating. There is a minimal layer that is not very resistant to scratches and normal wear. This is best used in very low traffic areas and places where the flooring will not be subjected to scuffing or scratching by furniture that is moveable. Grade 2/Urethane: The more standard grade, this is what is normally used in the kitchen and other areas of the home. The wearlayer is thick enough that it resists scratches and scuff marks relatively well. While no wearlayer can resist all scuffs and scratches, unless it is a deep scratch it serves as a good layer of protection. Grade 3/Enhanced Urethane: For commercial applications and extremely heavy traffic spots there is grade 3, or enhanced urethane. The extra thick wearlayer will resist scratches and scuff marks better than the other options. This grade of wearlayer is used in commercial entryways and lobbys as it will stand up to the wear and tear of heavy traffic. How the pattern for your vinyl flooring is put into the product makes a large impact on how durable it is. The pattern can be manufactured in one of two methods, inlaid or printed. Inlaid: With this option the colors of the image are built into the core layer. This means that scratches and scuffs will not wear away the image. This makes the image durable and long lasting. Printed: Like this, the pattern is printed onto a sheet on top of the core layer. This is a cheaper option, and if there is a scratch it can cut through the layer and reveal the blank core layer. If you have additional questions, make sure to ask a pro that specializes in vinyl floors.